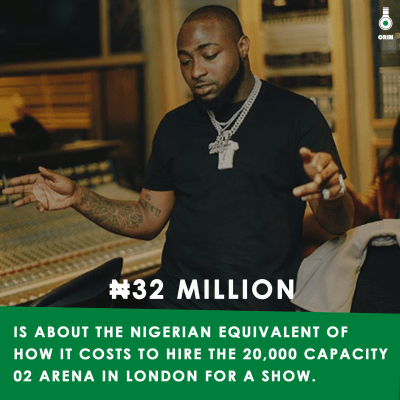 It is now on record that, Nigerian international pop star Davido did ‘shut down’ the world’s busiest indoor music arena; the 20,000 capacity 02 Arena in London. The same venue has been headlined by some of the most iconic musicians that the world has seen including, Beyonce, Rihanna and of course our very own, Wizkid who became the first Nigerian-based singer to sell out the venue in 2018. By this feat, Davido became the second Nigerian-based pop star to sell out the venue and the financial demand of the 02 Arena is no joke. It costs around 80,000 euros to book the venue for 24 hours which is a whopping sum of 32 million in naira – thenet.ng notes. The sold-out concert also featured DMW signees, Mayorkun, Peruzzi, Dremo and the others. Needful to note, the 02 Arena has already been booked until 2020. Wizkid remains the only the other Nigerian-based act to have taken on the main O2 stage and successfully sold out his ‘AfroRepublik’ concert in 2018. ”We rise by lifting others” is one slogan that has defined Davido’s blueprint over the years with his support of a number of talents on his platform and on his biggest night, he was yet again true to his words with a number of opening performances from his proteges. The event kicked off with sets from various DJs including Tim Westwood and DJ Ecool who played some of the finest songs from home – pulse.ng gives a report! From Mayorkun to Peruzzi, Idowest, Dremo, Yonda and Zlatan, members of his DMW crew and affiliates all got shine time on the night getting the crowd warmed up for what was to come. Other artists who took to the stage on the night include Victor AD who performed his smash hit, ‘Wetin We Gain’, Tomi Agape. 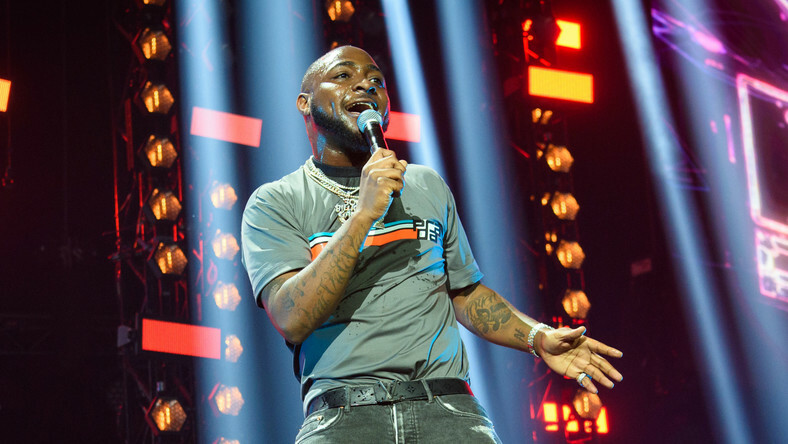 The man that the audience had gathered to watch and in true superstar fashion, backed by the Compozers live band and his colourful dancers, Davido’s stage prowess outshone any expectations that those who gathered might have brought into the arena. Performing a familiar set-list of his large catalog of hit anthems including songs like ‘Dami Duro’, ‘FIA’, ‘If’, ‘Fall’, ‘Assurance’, bringing his girlfriend, Chioma on stage as they shared a kiss, Davido served off back to back bangers during his over set. There were also a few surprise appearances who joined Davido on stage including the likes of Jamaican superstar, Popcaan.